The 2018 Subaru Crosstrek is now available for your driving pleasure. Sales of SUV crossovers are red hot, and it's a crowded field, so let's just cut to the chase. If you're looking for a sub-compact SUV crossover, the 2018 Subaru Crosstrek should be at the top of your shopping list. The vehicle sits on a new platform, with new looks, a new engine and a new interior. According to Subaru, unless it's a nut or bolt or fastener, every part in the vehicle is new and it's ready for sale. 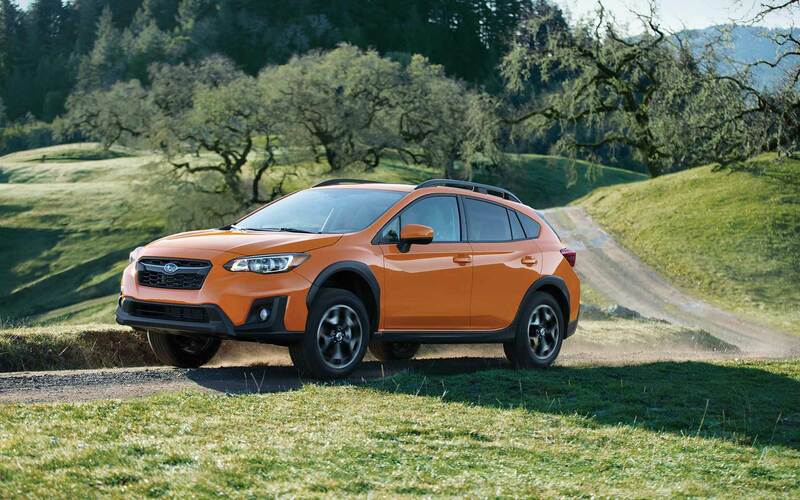 The company has scrambled to keep up with demand for its popular Crosstrek crossover, and it will likely continue to do so. With up to 8.7 inches of ground clearance, new fender flares, and new front and rear fascia, is a decidedly rugged hatchback. The vehicle's crisp, clean and modern shape draws its styling cues from hatchbacks and running shoes. 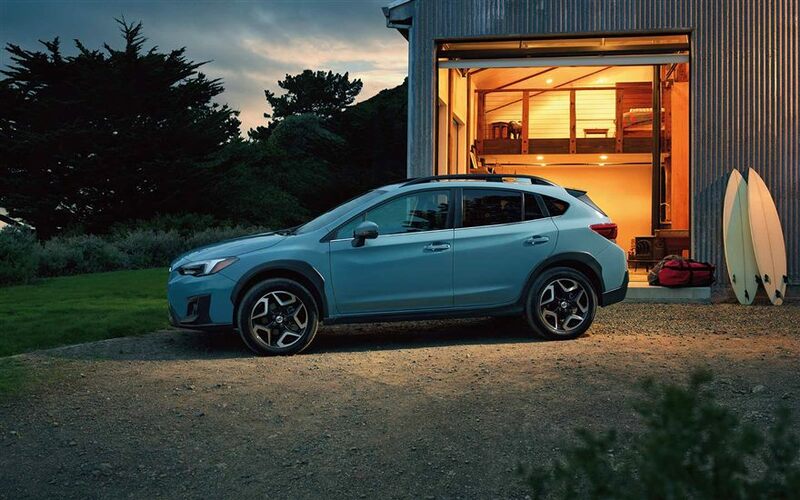 With its impressive ride height and aggressive posture, there's no mistaking the new Crosstrek for anything but a utility vehicle. The 2018 model continues to provide outstanding value, agile and a smart design. The interior is much-improved for 2018. The materials used inside are of much higher quality. Along with excellent fit and finish, they create a pleasing cabin environment with a quality feel. The seats are firm yet comfortable. Controls are where you would expect them to be, easy to find and reach. Entry and egress require no extra effort. No stooping to clear the roofline or lunging to clear the floor line are required. A slight increase in size opens up slightly more passenger room than before and a wider opening makes for easier loading. Having effortlessly plopped your fanny down, you'll see the overall control layout remains intuitive and fairly straightforward. It's still a user-friendly design. Front and rear seat leg and headroom are more than ample. Outward visibility from the driver's seat is excellent. Its brakes bring the vehicle to a stop solidly and consistently - even during simulated panic stops. In everyday driving, they provide a linear response and feel very self-assured. It's steering helps the driver understand what's happening where the rubber meets the road. Suspension and structural reinforcements, along with good ground clearance, allow for good approach and departure angles (18 degrees and nearly 28 degrees, respectively) on rough terrain. With standard all-wheel drive, it's one of the best performing compacts out there in snowy conditions, and on dirt and gravel roads. 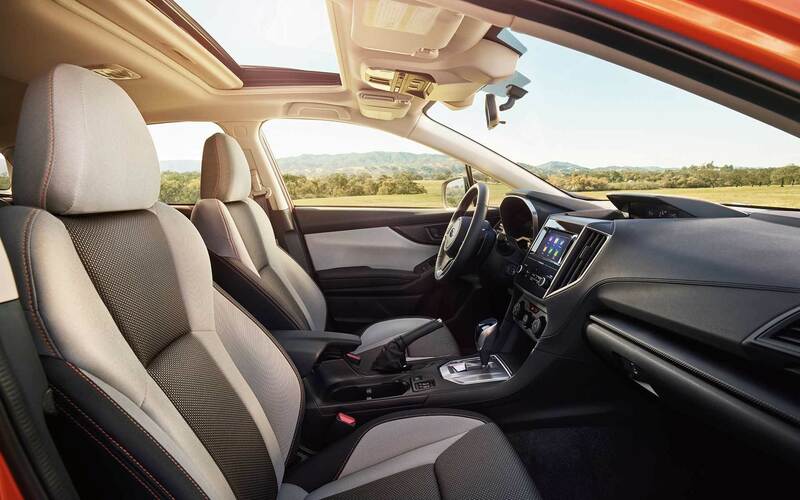 Responsive steering, a refined ride and plenty of ground clearance make this Crosstrek a surprisingly fun car to drive on road or off. The vehicle gets 152 horsepower and 134 lb-ft of torque out of its naturally aspirated 2.0-liter boxer engine. Paired with either a six-speed manual or the company's continuously variable transmission, acceleration is more than adequate. It allows the vehicle to get up to speed in a surprisingly rapid fashion and the power to easily pass slower-moving vehicles. Also surprising is the lively sports-car-like grip it provides when going around turns. The transmission is a smooth operator as well. It responds immediately when the driver steps on the gas pedal, and it shifts up and down effortlessly. Ask the experts at Flatirons - also serving Longmont Denver Fort Collins Boulder Colorado - for more details on its off-road performance and handling. They've driven the streets and trails in the Boulder area, and they know their stuff. The company's driver-assist technology, EyeSight, will be standard with features that include adaptive cruise control, automatic pre-collision braking, and lane-departure warning with lane-keeping assist. Optional safety features include blind-spot warning and rear cross-traffic warning. Among the list of other safety features available on the 2018 model are electronic stability control, daytime running lights, a rollover protection system, traction control and auto-leveling headlights. The 2017 model earned a perfect five out of a possible five stars in crash tests performed by the National Highway Traffic Administration. Rating for the new model are not yet available, but the company has traditionally gotten high marks for safety, and the vehicle that's for sale now vehicle should be no exception. 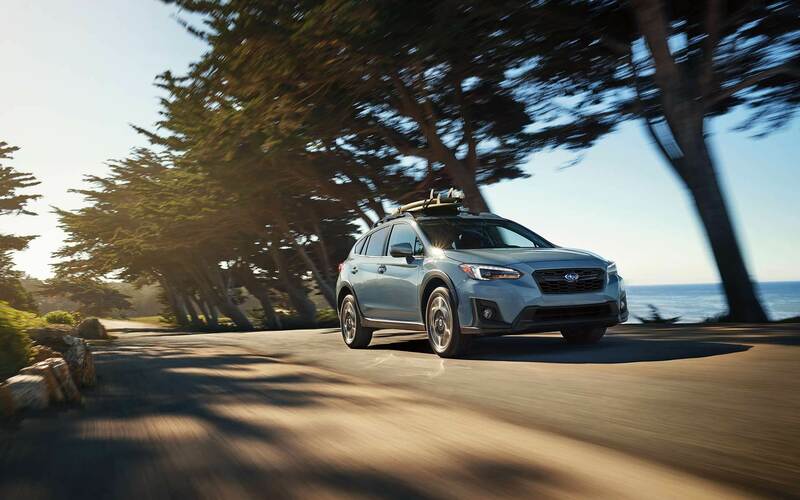 If it's love that makes a Subaru a Subaru, as the advertising slogan says, you'll no doubt love the folks at our dealership who will leave no Boulder unturned to put you behind the wheel of a new vehicle. 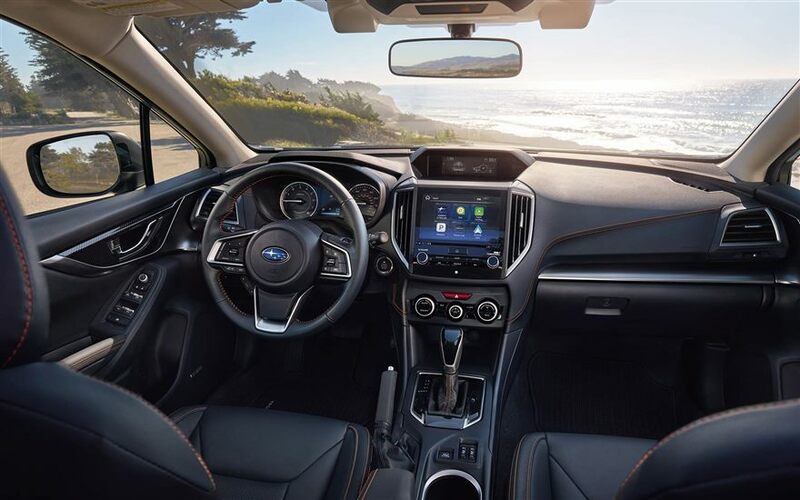 If you live in Boulder, Flatirons Subaru - also serving Longmont Denver Fort Collins Boulder Colorado - and you have a fondness for the outdoors, especially the great outdoors, the 2018 Subaru Crosstrek is engineered to get you there. A leader in the Salt Lake City area is at your beck and call. Stop in to Flatirons Subaru to get more information on the all-new 2018 Subaru Crosstrek, now ready for sale. Flatirons Subaru - serving Longmont Denver Fort Collins Boulder Colorado - is the place to be.